British summer time has officially started and in true British style it has rained for most of the day. Bleurgh! I’m ashamed to say that after a very tiring week with a teething baby I really wasn’t able to face cooking Sunday dinner and our normal point of call for a meat shaped hole in our stomachs is Percys in Milton Keynes. I’m really sorry vegetarians (which I know some of you are) Percys is all about the meat. They are the King of the BBQ and a very much loved and independently owned takeaway in a town where chain eateries are duplicated and then duplicated again. 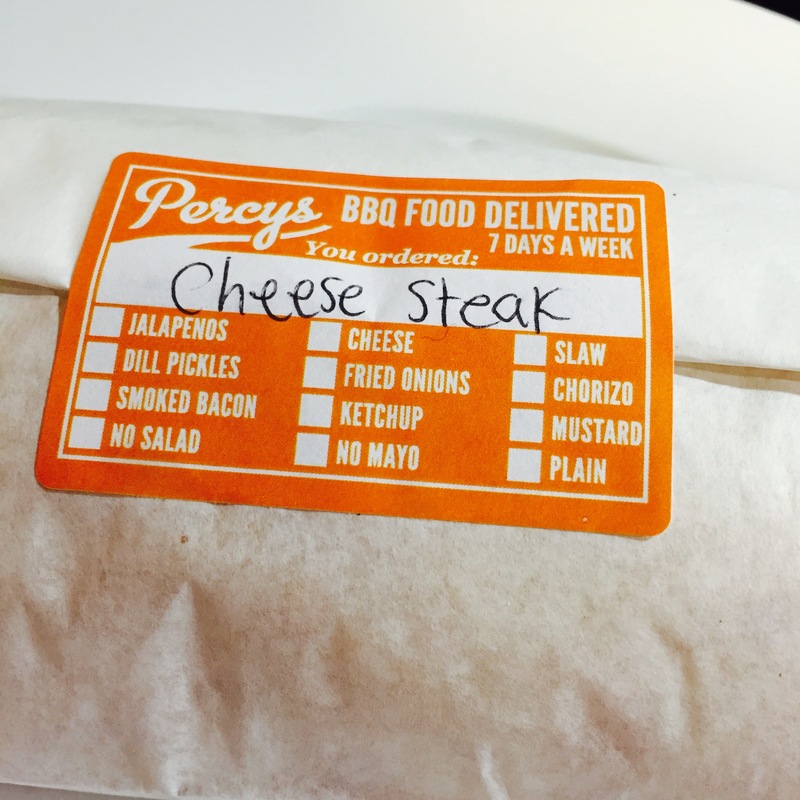 The moment I saw the monthly special for March called the Percys Cheese Steak, their take on the classic cheese steak, I was sold. 30 minutes later and here’s what we received. A generous mountain of soft, melt-in-the-mouth pulled beef short rib covered in a smoked cheese sauce, served with fried onions, mayo and lettuce. We ordered two, one as a burger and the other as a flatbread. It’s also available as a grilled wrap, so they say. It was tasty and a nice treat to end the weekend with such a meaty smile. I recommend you try it before it disappears in a few days. I have one happy belly. Who said Easter is just for kids?